I hate male bashing. A friend of mine posted this on her Facebook and asked me why I did not like it. She said, ¨Oh come on! Lighten up! It is meant to be funny! Men are annoying!¨ I told her that women are just as annoying as men can be and that posts like these are unfair. She said that although my point was true, the truth is that men are not as sensitive and caring as women are. That is when I immediately came to the defense of men. I should backtrack a little bit and explain a little bit of my background. I have endometriosis. What is that? Well, without going into too much detail, it involves difficult periods and can cause difficulty in conceiving. I discovered that I had endometriosis about three years ago. After experiencing severe pains, I learned that I had a cyst the size of an orange in my body (not cancerous) three years ago. That cyst had grown over a long period of time and had destroyed about 60 percent of one of my ovaries. I had a successful surgery and as of now, I no longer have any cysts that are growing. I have two tiny ones that are quite inactive. I have written a very brief account of the matter, but it was, and continues to be, a difficult situation for me. I would sincerely love to have children but there is the possibility that I will not. I got married three years ago and I am 40 years old. I live in Spain and work as an English teacher in a religious school. What does that mean? I get the comments (primarily from women) saying, ¨So, when is the baby coming?¨ or if my tummy is sticking out more than usual, I get, ¨When is the baby due?” Then I just have to put on my best smile, even though I want to seriously slap somebody, give a brief reply and walk away. There is this idea that as soon as one gets married, one should get pregnant. I honestly find that an archaic and often impractical thing. What if we could not afford to have a child right now? What if soon after being married, we just wanted to enjoy being just a couple? No couple should feel the need to explain their private life.I also want to remind people that women´s bodies are not vending machines where you throw in your change and get your desired product. Not long ago, a woman slapped my husband on the arm and told him¨, ¨How about that baby eh? You two are running out of time!¨ That hurt like hell. So much for sensitive and caring. I was visiting my mother not long ago and we went into a flower shop that she and I use to to go to a lot. A Young woman working there said, ¨Oh! Are you pregnant?¨I shook my head and said ¨no¨putting on my best possible grin that said ¨No, now kindly please shut up¨, but she continued by saying, ¨I just figured you were since you are fatter than the last time I saw you.¨ What a generous use of words to use the comparative of the word, ¨fat¨. I stopped grinning and told my mom that we were leaving. I confess had a good cry after that. I returned home and told my husband about it. He told me not to worry, that I am beautiful and perfect the way I am. Not fat. Not fatter. Not defected. I remember when I was single, I would often get the question, ¨How come you don´t have a boyfriend? or ¨Why are you not married yet?¨ Men never asked me that, of course. Women did. I am not referring to older women, I am referring to women my age or younger. I simply said that I had not yet met him and that I would prefer to be single and happy than to be with someone just to say I had someone. I don´t believe in wasting my time and my worth does not come from being associated with a man. I lived for several years on my own with no boyfriend. It was a wonderful time. There are other examples but I do not need to detail them. When I explained these examples to my friend she I understood my point of view better and was quite shocked. Men, in my experiences these days, never make me feel like there is something wrong with me. It is generally women. This is not to say that there are not great female friends in my life. Fortunately, there are a few. I think the important thing to know here is that everyone can cause hurt and be insensitive, It is also important not to let other people´s insensitivity affect you too much. That is not easy. If there are any gentleman reading this, I am sorry that you guys are stereotyped. The stereotypes that you are all insensitive or ignorant fools are completely unfair. Human beings can be insensitive or unkind, not just men. I know that there are plenty of good men out there who have women in their lives that would be the first to praise the kind of people they are. I am referring to husbands, fathers, brothers, boyfriends, uncles, sons, grandfathers and friends. All men. And these men do not cause problems in women’s lives. They just make life sweeter. So sad but so true! I have 5 amazing sons so I agree totally! Sorry for your troubles! hugs from me! Women should embrace women and help and support which is usually not how it goes. AS for the rest, I cannot stand male bashing either. Like you, I tend to get on better with men simply because there's never any drama, whereas I've lost count of the ridiculous situations I've found myself in because of other women's pointless bitching. Women can be so rude, and they can do so without so much as raising their voices or say anything thats "outwardly" nasty. As for the people asking you "why haven't you produced a child yet, why are you single, you're fatter than the last time I saw you, are you pregnant? "…those people should mind their own business! You are totally right when you say it's better being single than in an unhappy relationship! I was always fussy too and refused to settle for just anyone. And there is no reason on earth that you should have children just because you're married, what is this, the dark ages? Oh dear, I'd better stop here, this feels too much like a rant. All I'll say is: rock on sister and never mind everyone else!! Love your take on this. Frankly I thought it’s our eastern society where women have nothing constructive to do and they ask such insensitive questions but your post is a whole new angle for me. I think that some of us males deserve the image associated with us. But, there are plenty of us that are normal and loving humans. I suspect that is the same of females, too. Maybe it’s just trendy to bash guys these days? It was a great post, Natascha, and I loved reading it. I am in awe of this lovely and honest post! The line that said human beings are selfish and mean, not a gender, is very very true! You have penned your thoughts very well and these thoughts need to be shared by the world which is going dumber everyday. Men can be frustrating to women, as we can beto men – we are DIFFERENT! That is how God made us. May I suggest that the person in question who finds a lesbian lover, that way she will not have to put up with men…. I sympathise with your condition – I have four close friends all who have suffered with this, two of whom has been lucky enough to have babies (one has a lovely little girl the other a girl and boy) The other two, not so fortunate and one, a friend of my daughters in now in early menopause aged 28 – very sad. I agree with you_! Men and women are different. We are not meant to be the same. We would probable get on better if we would just celebrate the differences rather tan act like there weren´t any! thank you for shatring your experiences with your friends. Menopause at 28 must be so painful. Having children does not define you as a woman but to have that opportunity closed to you through no fault of your own is heartbreaking. You are right that I am so lucky. My husband supports me 100 percent and never makes me feel like I have disappointed him somehow. Some men would do that. In fact, he is full of hope and is positive no matter what. He says that he is happy either way. I can´t tell you how much that helps. Thank you for your supportive and kind words. They mean a lot. If I am a lovely person then it is because I have lots of love in my life. To get kindness so much kindness from my blogger friends is a wonderful and unexpected surprise. Great post. 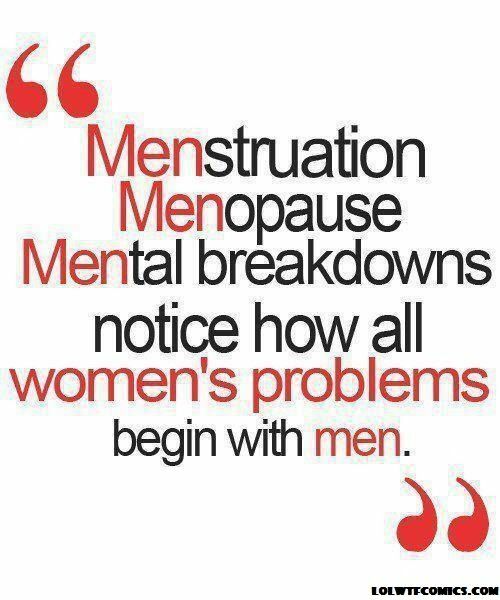 It’s often women who cause problems for women (and themselves)!! I am very sorry about your challenges. Acupuncture can be phenomenal for conception, under the hands of a skillful practitioner.